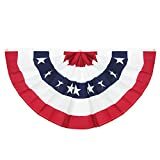 Independence Day is just around the corner, and we know you’re getting excited to pull out your red-white-and-blue Americana home decor. 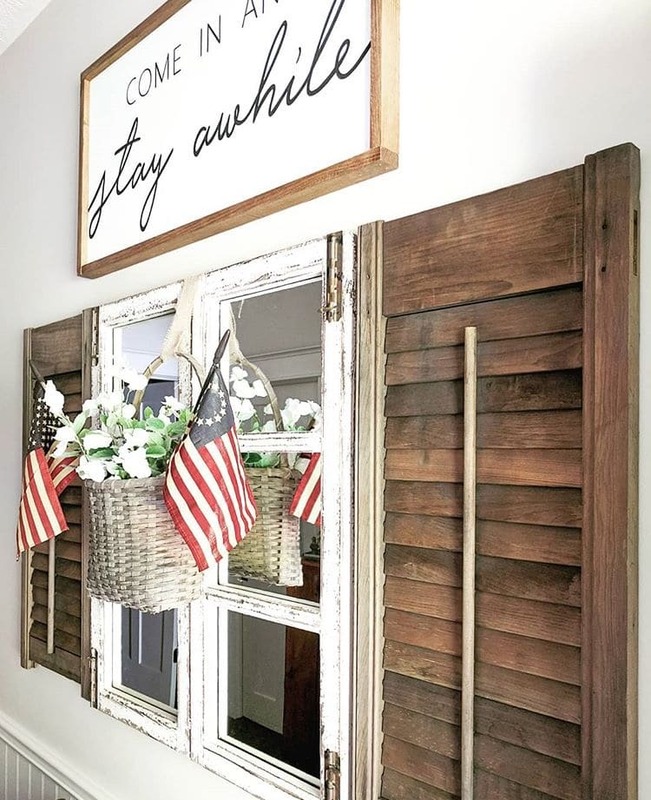 We are eager to help you show your pride for your country with these trending Americana home decor ideas. 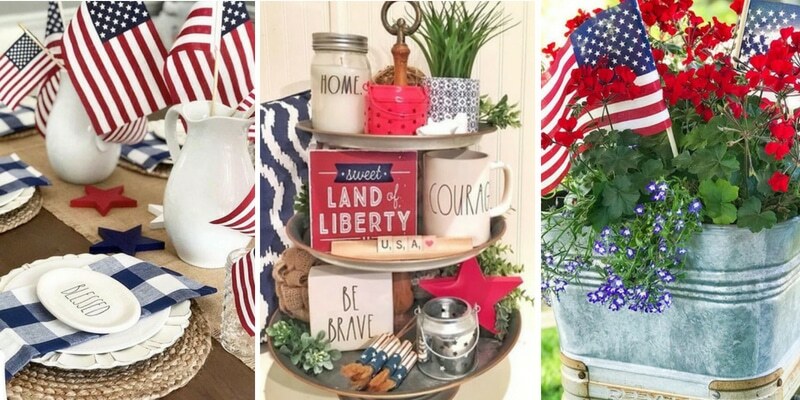 These beautiful Americana home decor ideas are a wonderful way to express your love of country. 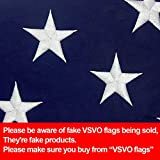 It also is a super classy way to show support for the men and women fighting for their love of country. Plus, it doesn’t hurt that red, white, and blue are great summer colors! 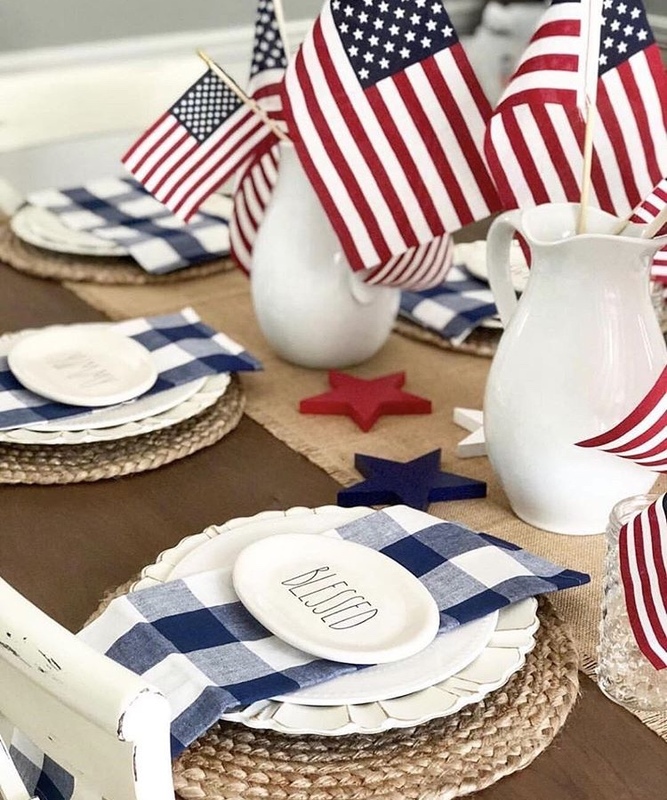 These Americana home decor ideas for trending Tuesday are for sure going to give you some inspiration for your 4th Of July get-together. This table is super cute and super classy. 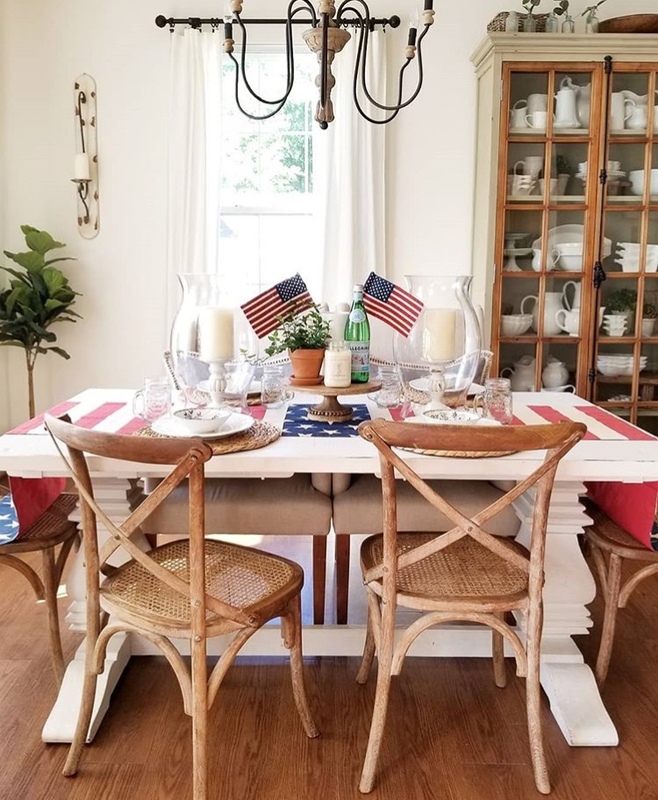 The American flag decor makes this dining room look ready for an elegant Independence Day dinner party. Not to mention those mason jars that finish this table setting off with a classic, all-American feel. 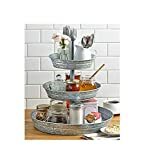 Of course, we had to include an Americana home decor tiered tray in this post! Roz is an expert tiered tray styler, and she didn’t disappoint here! 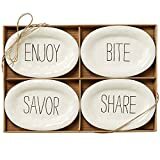 This tiered tray is simple and tasteful. The greenery and Rae Dunn is perfectly paired with the stars and stripes of the Americana decor. We also love that blue and white throw pillow as a backdrop! We love what you’ve done with that window, Amy! The flags look great up against that mirrored window. If you love this repurposed vintage window, check out our post on them. The contrast of the current American flag and the old Betsy Ross design are what really make this shine. Rae Dunn has never looked so patriotic until this post! These precious pieces look great on this display. 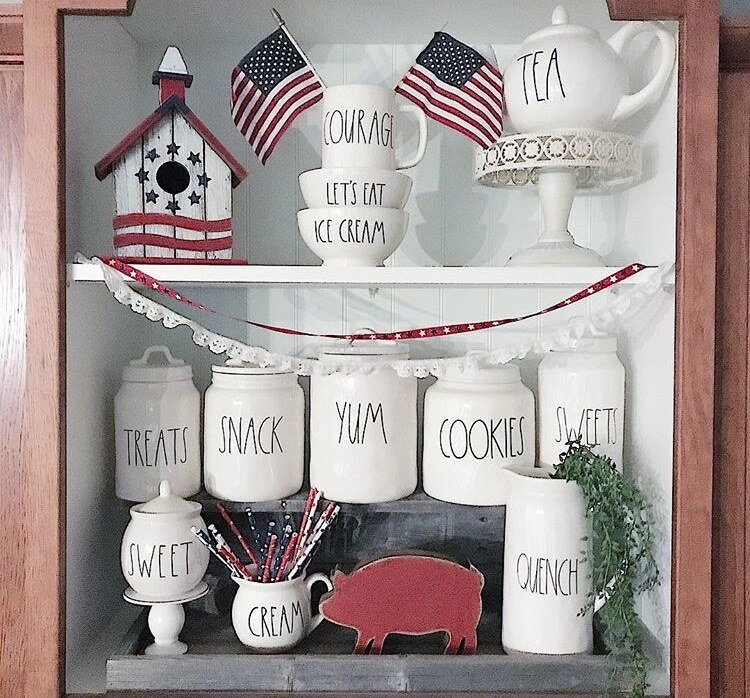 From that adorable Americana birdhouse to the super fun red-white-and-blue part straws, this display is sure going to get a lot of compliments! This flower arrangement is gorgeous! Melanie shows her container flower gardening skills here in this red and blue ensemble. And we are impressed! Don’t forget to take a look at our tutorial on container flower gardening. 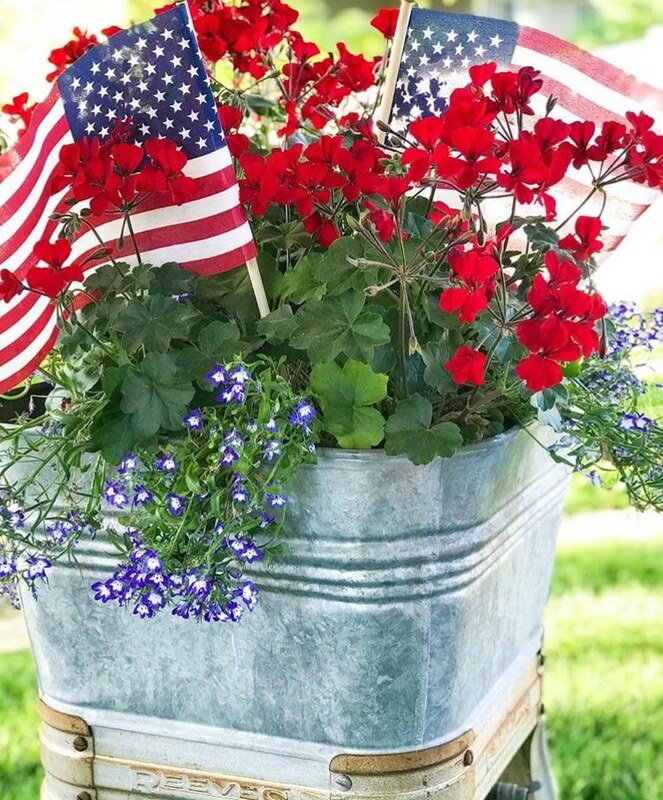 The two miniature American flags make those patriotic flowers pop, as does the charming metal flower container. Remember our post on chicken nesting boxes? If you haven’t seen it, go take a look. This one would have been a great addition to that post! Who would have thought of using it as a massive flower container? 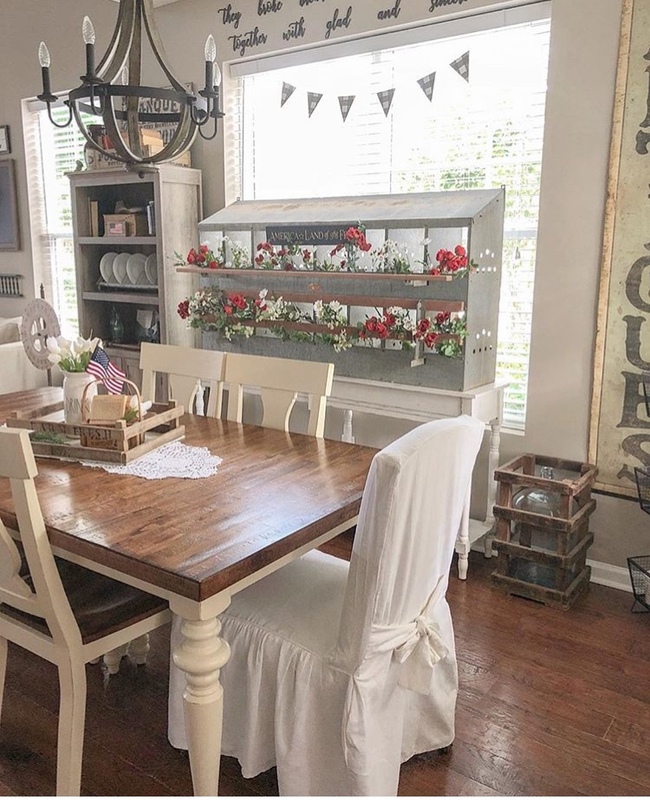 And who would have thought that a chicken nesting box with red and white flowers would work so well as Americana home decor? Well, Kayla thought of it, and we are glad she did! And don’t think we didn’t notice that American flag in that cute table centerpiece. Speaking of table decor, this tablescape is incredible! These Americana decorations are beautiful! Seriously, we cannot get over how cute those Rae Dunn plates look placed over those blue and white napkins. The American flags placed in the milk pitchers work so well as centerpieces. We wanna be invited to whatever 4th of July party thrown at this farmhouse because we know it will be beautiful! Jordan’s front porch gets us in a patriotic mood. 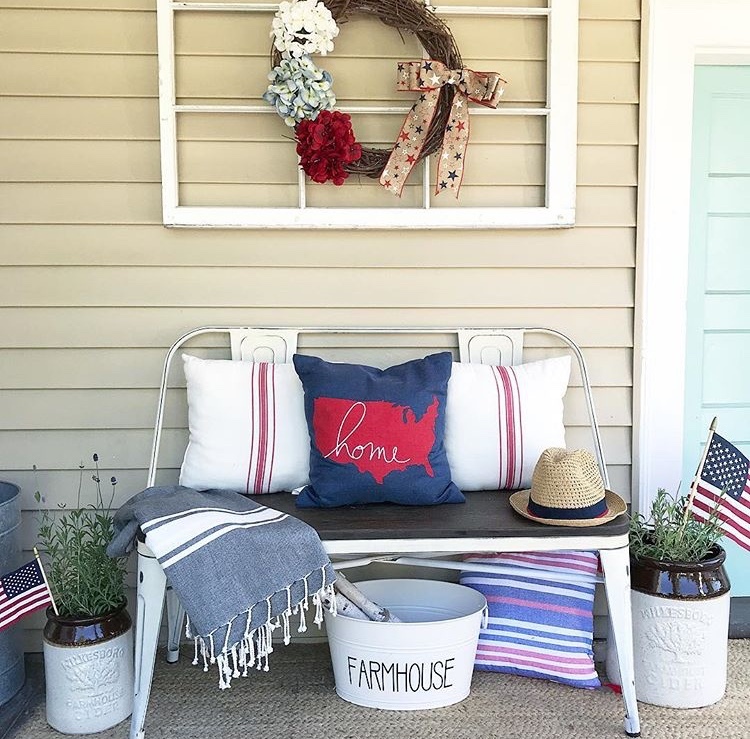 From the American flags in those flower containers to the cozy Americana throws on the bench, she beautifully displays her love of country. There is so much to take in here, and we love all of it. We’re sure this space fills those who get to sit in its beauty with joy! Charlotte, your entryway is so inviting! Each Americana decor detail has us gushing. 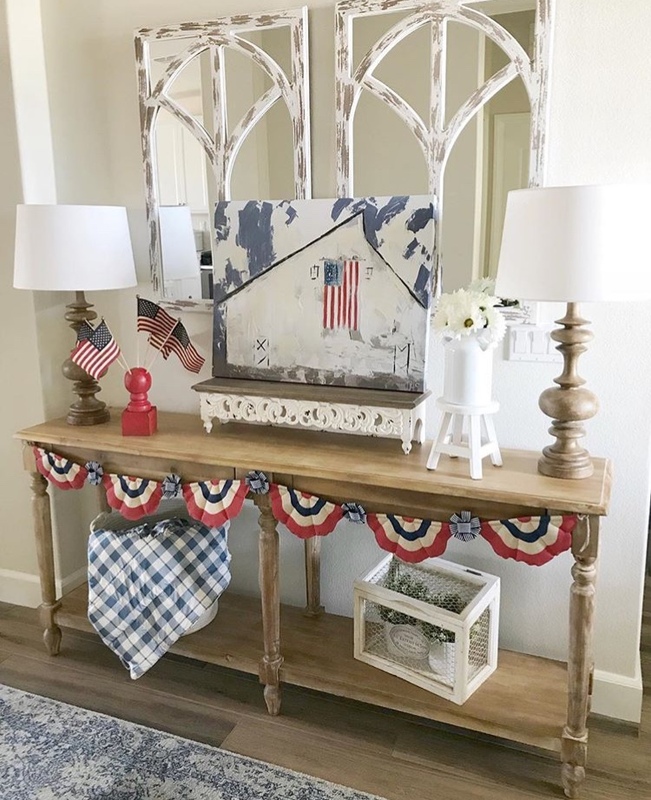 That unique red American flag stand looks amazing here, and that painting is super cute. 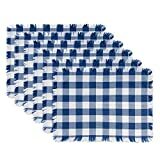 We loved that blue and white checked throw, too. It must be impossible to walk through this entryway without feeling patriotic! 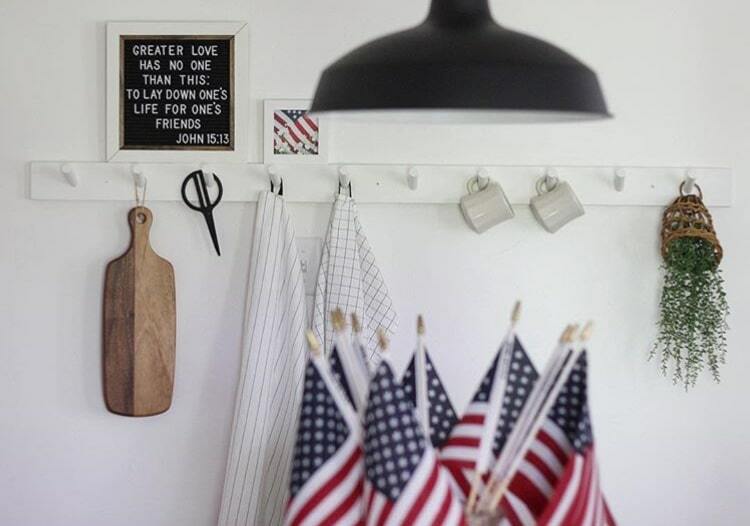 This Americana home decor idea is beautiful! Misty’s American flags look stunning up against that white wall. Speaking of stunning, let’s talk about that Bible verse. It is a powerful message and could not be more appropriate for this time of year when we honor those who have given their lives for us. We are all about that here. 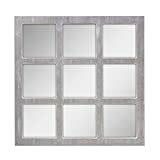 The Americana home decor ideas trending this week are showstoppers. 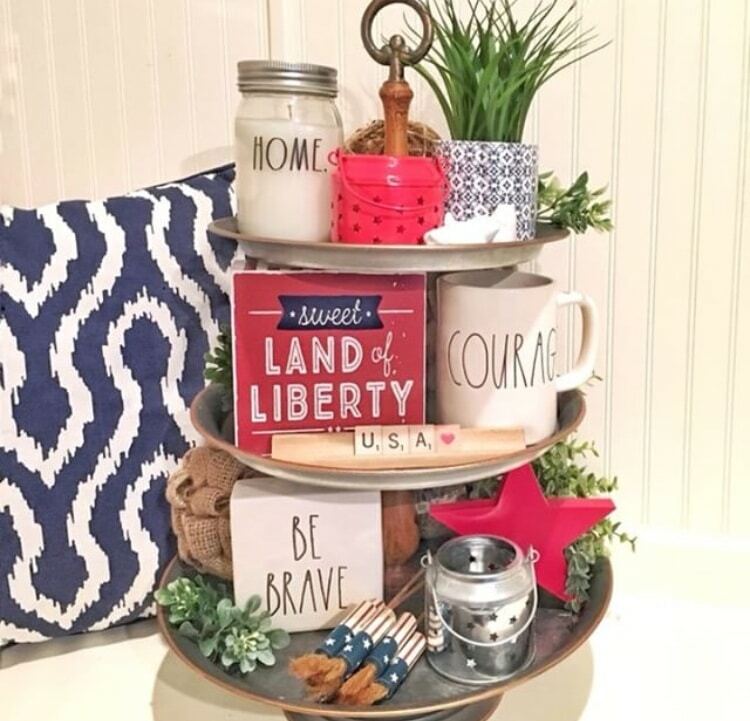 We hope they filled you with pride for your country as well as inspiration to start styling your home for the 4th! If you need some more ideas, check out our previous post, a tutorial for 4th of July decorating ideas and to really add to your holiday fun try this amazing patriotic donut recipe. Show us what you come up with! We’re looking forward to seeing how you show your patriotism! These are all so beautiful and inspiring! I’m so honored to be featured among all these talented accounts. Thank you for sharing my porch! You are very welcome! We are so glad you allowed us to include your beautiful porch!! !